Doors and Windows West specializes in window replacement. We carry countless options from top manufacturers. Replacement windows are an ideal option when the exterior window frame can be left intact. This saves money and time. Window replacements are customized to fit the openings. 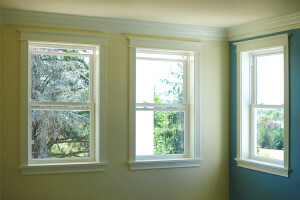 View full Replacement Windows article from Simonton. Save on utility cost. Because newer windows are more energy efficient, many homeowners see an immediate cost savings in heating and air. ROI. In Riverside County, the return on investment for window replacement is 89.5% for vinyl window replacement and 90.7% for wood window replacement. Curb appeal. 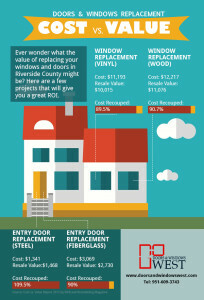 Retrofit windows offer an immediate upgrade of your home. Less noise. Technology is constantly improving, even when it comes to window construction. You will likely notice it is quieter. Added security. Another happy benefit of improved technology. Window replacements provide home owners with increased security. We would love the opportunity to discuss your window replacement requirements. Browse from a few catalogs from our preferred manufacturers or give us a call and we will guide you through the process to get the most value from your investment.